Sean Cubitt’s book, The Cinema Effect, is an intricate philosophical analysis of film. Following from studies like Gilles Deleuze’s Cinema 1 and Cinema 2, Stephen Shaviro’s The Cinematic Body and D.N. Rodowick’s Gilles Deleuze’s Time Machine, Cubitt chooses to look at film’s materiality. These analyses are all perspectives on film that look deeper than its stars and narratives. The materiality they seek to explore is the fundamental existence of the image. Moreover, this is a complicated idea of materiality, for these studies don’t simply consider the image as a moving photograph. Instead, they are grounded by a belief in the image’s existence as matter in movement. This position has significant ramifications for theoretical writing on the cinema, for what is implied is an equation between bodies in reality and images in the cinema. Deleuze and Shaviro, for example, begin with the matter–image equation and use film to think through philosophical problems of movement and duration. And the concept of the image as moving matter is the premise from which they develop theories of the sign (semiotics). Such semiotic theories, based on the kinetics of bodies in movement, are important because they go against the grain of linguistic-inspired semiology (the dominant semiotic trend of the twentieth century). The Cinema Effect is another analysis of cinema’s materiality, one Cubitt himself defines as a “material theory of film” (39). Cubitt also considers the image as moving matter and endeavours to explore concepts such as duration, aesthetics, semiotics and ethics. He describes this task as an attempt to discover “what cinema does” (1, 36). Cubitt establishes his material theory of film by defining the image according to three principles (Part I: Pioneer Cinema). Then he considers the various ways these three principles of the image are played out according to the different aesthetic concerns of some of cinema’s historical epochs (Part II: Normative Cinema; Part III: Post Cinema). Cubitt discusses the three principles of the image in three chapters of Part I. The principles are based on Cubitt’s understanding of the image’s movement – an understanding which is something like Deleuze’s interpretation of cinematic movement via Henri Bergson’s conception of movement and duration – and Cubitt’s alignment of the cinema with Charles S. Peirce’s three phenomenological categories of Being. Basically, Cubitt’s material theory can be summarised as follows. He states that the cinema and the world have as their basis the same categories of Being. Roughly, these categories are: 1. Being in-itself, or what Peirce calls Firstness; 2. Being in relation to something else, or Secondness; and 3. Being in relation to something else from the perspective of a third thing – the logical relations of things in the universe, or Thirdness. Cubitt argues that the same categories are underlying in the cinema, but he changes Peirce’s terminology. He describes the image’s nature as Firstness, or fundamental appearance, with the term pixel. He describes the image’s nature as Secondness, or differentiated, organised and multiplied matter, with the term cut. Finally, he describes the image’s nature as Thirdness, or something that is inevitably interpreted, with the term vector. Having established these principles, his aim is to complete his study by “historicizing” or showing “how these raw principles develop and interact in the ongoing dialogue between cinema and society” (98). I will focus this review on an analysis of the foundation of The Cinema Effect: Cubitt’s material theory of film. His thesis is complicated and utilises a range of philosophical concepts, and I hope to shed some light on some of these concepts and perhaps offer some complementary logic. To begin with, I will explain how Cubitt asserts the image’s nature as Firstness. His argument is based on two things: his theory of the image’s movement; and his understanding of Bergson’s concept of duration (which he identifies with cinematic movement). According to Bergson, movement and duration are inseparable in so far as all movement takes place in time. For Cubitt, the image is matter in movement. Its nature as Firstness is based on the principle that, as moving matter, the image is a swelling duration that exists in-itself. Moreover, I will explain how Cubitt uses the image’s nature as Firstness to assert that narrative organisation is not a given of the image. Cubitt, like Deleuze before him, holds that narrative is only one kind of temporal organisation of the image. Second, I will explain Cubitt’s understanding of the image’s nature as Secondness. For Cubitt, the image is differentiated and exists in relation to other images because of the organising effect of editing and cinematic effects such as panning. Third, I will explain Cubitt’s understanding of the image as Thirdness. Thirdness, or Cubitt’s concept of the vector, refers to the image’s interpretation by a subject. For Cubitt the image rightfully calls on an interpretation that is unbounded and infinite. Although an engaging discussion of interpretation, I will suggest that Cubitt’s thesis could benefit from an extended discussion of subjectivity. Cubitt’s method in establishing the principles of the cinema depends on his interpretation of Peirce’s phenomenology in light of his understanding of the image’s movement, which he arrives at via Bergson’s concept of duration. Based on Peirce’s categories, Cubitt eventually considers the image as 1. something in-itself, 2. something that is differentiated – in other words, something that is in a brute relation to something else, and 3. something in relation to something else via an intermediary third term – that is, he considers the relations of images logically. In this section I will review Cubitt’s understanding of the fundamental principle of the image, the image’s nature as Firstness and his thesis on cinematic movement. Cubitt’s assertion of Firstness in the cinema depends on his understanding of the image in-itself as neither past nor present, but a matter swelling in duration. Furthermore, in identifying Firstness as the fundamental principle of the image, The Cinema Effect moves towards a discussion of narrative. Narrative occurs cinematically with the arrangement of images into chronological or cause–effect relations. Thus narrative is a problem of time. In terms of Peirce’s phenomenology, a discussion of the organisation of images implies Thirdness, and consequently, one would expect that this discussion would come at a later stage of Cubitt’s thesis. Cubitt, however, discusses narrative at this point because of the relation between the image’s duration (Firstness) and narrative time. Cubitt’s identification of the fundamental principle of the image and his association of that principle with duration enables him to make a logical case that prevents the presupposition of narrative structure in film theory. Cubitt starts by looking at the image in its most elementary form. This is the image’s nature as matter that moves. At this stage of Cubitt’s argument, one can’t help but recall the brilliant early chapters of Deleuze’s Cinema 1 where, referring to Bergson’s movement–duration thesis, Deleuze claims that the image is not a photograph with the addition of movement. Appealing to what Rodowick explains as the brute empiricism of the image in movement, Deleuze states that when images are projected at a rate of 24 frames per second, the subject does not perceive the image as a moving photograph – a copy of reality – but perceives the image as moving matter, as if the cinema and the actual world are one and the same. Cubitt arrives at the same conclusion, but gets there with slightly more modest steps. From Thierry Kunztel’s account of the cinematic photogram and an early article from La Poste (1895), Cubitt deduces that the “living” aspect of life is movement, called “le vif” (19). He continues and states that, since the image and objects in the actual world move, they are “both part of the same process: le vif” (19). 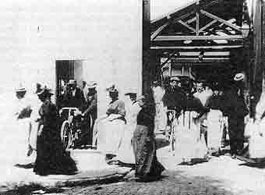 Furthermore, he thinks the perfect example of this perspective on the cinema is Louis Lumière’s Sortie des usines (1895). This film is exemplary, according to Cubitt, because it depicts “an innocence of movement that never after could recur in front of the camera” (20). Cubitt, like Deleuze before him, begins his account of the cinema by appealing to the elementary state of an image, its movement. Based on the movement we see on the screen and the movement we see in the actual world, both Cubitt and Deleuze insist that image and reality are perceived as one and the same. Cubitt’s argument about the commonality of movement to image and actual world is straightforward and, for the moment, enables him to advance to the next stage of his thesis: unpacking his material theory of film further by using Bergson’s concept of duration to assert Firstness as the fundamental principle of the image. Yet this assertion of the image’s nature as Firstness depends on Cubitt’s understanding of movement’s duration. For Peirce, Firstness is Being in-itself; it is the first stage of the universe’s logical evolution. According to Peirce, evolution progresses from undifferentiated Being in-itself, to differentiated Being (or Being in a brute relation to something else), to Being in a logical relation to something else. Describing Firstness, Cubitt cites Umberto Eco who writes that Firstness is “a quality of feeling, like a purple colour noticed without any sense of the beginning or end of the experience; it is not an object, nor is it initially inherent to any recognizable object” (1). To assert Firstness in the cinema, Cubitt begins by describing cinematic projection. He states that the “frameline separating frame from frame distinguishes between past and present, negative and positive time, so that the frame itself, the present, appears as their pure difference” (32). As the pure difference of past and present, Cubitt is describing the frame as an origin of time from which the past and present are both products. What is implied is that the projected frames – cinematic images – are most fundamentally a pure present: neither past nor future, but the “point of origin” of time (33). If we refer to Cinema 2 and Deleuze’s (Bergsonian) idea of the image as perpetually split between a past and present, then Cubitt’s and Deleuze’s theses converge on the idea that the image is neither past, present or future, but all three at once. In other words, both theses conceive of the image as a swelling matter of duration. Cubitt turns momentarily to mathematics and explains that zero is the origin of number. As the origin of number, zero neither exists nor does not exist: “it is the privileged marker of difference” (33), and all number is a product of this zero state. Cubitt then returns to the cinema and states that the image is the origin of time, a zero state. Why is this significant? The zero state of the image (whereby the image is a swelling matter of duration) neither exists nor does not exist. It is neither identical to nor different from anything else (2). It is on this point that Cubitt insists that the image exists in-itself as Firstness. Furthermore, he uses his own terminology and calls the image a pixel. Based on his claim that (at its most fundamental level) the image exists in-itself as Firstness, Cubitt constructs a logical case for preventing the presupposition of narrative in cinema. Narrative has been considered a given in the cinema since the theoretical discourse made popular by linguistic film theorists like Christian Metz, and Cubitt sets out to dispel this position as a myth (3). His method depends on his idea of the image as a swelling matter of duration. As a zero state or originary flux, the fundamental state of the image is the sum of all differences (34). Furthermore, the descriptions in The Cinema Effect make quite clear how the fundamental state of the image is in immanence (4). In a move that brings Cubitt remarkably close to Benedict de Spinoza’s concept of univocal substance and Deleuze’s translation of this concept to the cinema with his own concept of the cinematic plane of immanence, he compares the zero state of duration with the idea of a God that is without self-identity (35) (5). At this stage, however, there is a bit of confusion. A reader of Peirce (and Deleuze) might think that Cubitt’s discussion is conflating Firstness with a state of Being that Peirce himself describes as anterior to Firstness: a phenomenological Zeroness (6). This confusion aside, Cubitt continues his argument and dispels the theoretical arguments that presuppose narrative structure in the cinema. He states that narrative is a formal organisation of time, and this is because narrative organises a basic cinematic event into a sequence of cause–effect relations. To put this another way, narrative is an organisation of duration (Firstness). Thus, since Firstness is the zero state of the image, narrative is not a given but only one potential manifestation of cinematic time (38). Firstness exists in-itself in immanence. There is nothing transcendent to Firstness, and in this respect there is rightfully no reason why the image is predisposed to narrative organisation. Cubitt’s logic is clear and effective in its simplicity. However, some of its rigour is lost when one remembers his understanding of le vif, which is at the foundation of cinematic duration. His material thesis of the cinema depends on his understanding of the brute empiricism of the image’s movement. Based on the image’s movement, Cubitt (like Deleuze) equates the image and matter. Then, based on his understanding of the frame, Cubitt describes a concept of duration associated with this movement. Important now is the following argument: movement is immanent and time is a swelling duration. Cubitt states that narrative (chronological time) is only a fact of the cinema. These broader strokes of Cubitt’s argument are clear, but there is some confusion when one considers the finer details. With the concept le vif, Cubitt seems to be suggesting that matter and movement (the living aspect of life: le vif) can be separated. If we take the principle from Bergson that movement equals time, then separating movement from matter is the same as stating that movement and time are added to matter. What we are left with is an idea of time as something that is added to the image. In this respect it seems that the image depends on transcendent structures. Consequently, if it is not entirely clear that time is not added to the image, then the concept of the image as a swelling matter of duration gets lost somewhere. The result: it becomes a little confusing as to how, exactly, a transcendent structure like narrative is unavoidable for the image. Another detail that lacks some clarity is Cubitt’s motivation for proving that narrative is not a given of the cinema. Why is narrative so dangerous? He states that narration “tends towards a gestalt,” and he writes that the “goal” of narration is “closure and fixity” (40). Although one can glean an idea of what Cubitt means, the thrust of his argument is not transparent enough. Is Cubitt making an ethical argument about language? Is he suggesting that the cause–effect relations of narrative perhaps predetermine a subject’s interpretation of an image, consequently causing them to overlook some of the image’s detail? Deleuze’s understanding of the image in the cinema books offers a way around these theoretical ambiguities. Deleuze dispels any idea of narrative’s presupposition due to an argument he makes about the image’s duration. Like Cubitt, he describes a primordial state of the image that is historically anterior to structures like narrative, and this is the image’s fundamental nature as a swelling matter of duration. But at this point Deleuze’s argument becomes a little more concrete than Cubitt’s. He asserts that the image is something like Louis Hjlemslev’s concept of linguistic matter (purport). In this respect, Deleuze is stating that the image is a matter that is not amorphous. In terms of this condition it does not presuppose structure (organising systems like langue) in order to give it form. Instead, matter is already formed by virtue of its very existence. Narrative is one such structure of language, and since the image does not presuppose structure, Deleuze states conclusively that narrative is not a given. Moreover, in identifying narrative with structure, Deleuze aligns his discussion of narrative with his critique of structuralism. In this critique, noted in the cinema books and extensively in earlier texts like “How Do We Recognize Structuralism?”, Deleuze is quite clear about how structure is detrimental to an ethical and creative concept of thinking (7). The first principle of the image analysed by Cubitt is its fundamental existence as a swelling matter of duration (pixel). The second principle of the image analysed by Cubitt is its arrangement or organisation. I noted above how the first principle of the image corresponds to Peirce’s elementary phenomenological category, Firstness. Now I will explain Cubitt’s argument that the second principle of the image corresponds to Peirce’s second phenomenological category, Secondness – or what Peirce describes as Being in brute relation to something else (a second thing). Cubitt’s term for the second principle of the image is the cut. In The Cinema Effect, the discussion of Peirce’s second phenomenological category is easy to grasp. Cubitt notes how, according to Peirce, Being is primarily an undifferentiated flow of quality and sensation (Firstness) which is eventually differentiated into distinct objects and things (Secondness). If we turn to Peirce’s Collected Papers, Peirce has this very evolution of Firstness to Secondness in mind when he notes how the categories of Being are ordinal and hierarchical. Cubitt describes the swelling matter of Firstness as “the interpenetration of the physics of light”. It is a “duration without beginning, end, or direction” (49). He describes Secondness when “the formless instant becomes an object.” And citing Peirce, he notes Secondness as “an interruption…[a] sense of resistance, of an external fact, of another something” (8). For Cubitt, the most straightforward way the image is Secondness is through editing, for it is the cutting of the image that organises it into distinct groupings (47). It is for this reason that Cubitt chooses to call the second principle of the image the cut. While cutting is the most straightforward technique, Cubitt notes others that are just as important. Even without the cut, he describes how the frame centres our attention and distinguishes actions, objects and milieus from offscreen actions, objects and milieus. He discusses how the frame, in composing its action in depth, differentiates objects and actions in space. 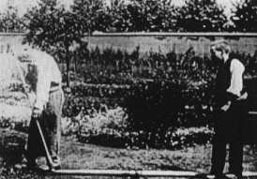 He refers to the Lumières’ L’Arroseur arrosé (1895) as a key example of this technique: “When we see the boy standing in midground on the hosepipe while the bemused gardener inspects its nozzle in the foreground, their relation is established in the distinction between planes” (44). Moreover, Cubitt also explains how the pan, for example, can act to differentiate the image’s Firstness by unifying and centring the spectator’s gaze (47). Cubitt’s argument about the cut also returns the reader to his discussion of narrative. Narrative is a problem of Thirdness: of interpretation. But narrative is also a problem of Secondness: of the ways the image is ordered or cut. Again, however, Cubitt makes clear the secondary importance of narrative in the cinema when he states that narrative is only one way cinema is cut. His discussion of some of Georges Méliès’ films, as well as some of Dadasaheb Phalke’s films, is fascinating and useful for compounding his thesis that narrative organisation is not the predestined outcome of the image (68). From Peirce’s phenomenology, Cubitt identifies a third principle of the image that he calls the vector. This principle stems from Cubitt’s understanding of Thirdness. Thirdness is the most developed of Peirce’s categories of Being. Firstness is Being in-itself, Secondness is Being in relation to a second thing, and Thirdness is Being in relation to a second thing for a third thing: an interpreting mind. For Cubitt, Thirdness is a way of discussing how the image is interpreted. More specifically though, Cubitt seems to want to use the vector to argue that a viewer’s (subject’s) interpretation of the image is never rightfully predetermined, and that the concepts formed as a result are potentially infinite in number (84). On this point there are some strong similarities between Cubitt’s thesis on thinking, Deleuze and Felix Guattari’s discussion of thinking in A Thousand Plateaus: Capitalism and Schizophrenia (particularly their oft-cited references to artist Paul Klee), and similar ideas of Brian Massumi. While Cubitt’s language is rich and textured, and his discussion of thinking dotted with many provoking examples, it lacks some of the transparency of the above texts. His argument about the infinite potential of a subject’s interpretation of the image is a little unconvincing because Cubitt isn’t entirely clear about his understanding of the subject. Sometimes he seems to be describing a transcendent subject, an idea of the subject Peirce sometimes refers to with his discussion of psychologism. This is a dangerous way to describe the subject, since transcendence disrupts the infinite potential of interpretation according to the limiting effect on thought of pre-existent psychological tendencies. In mathematical terms, a vector is a line moving through time and space (71). Cubitt uses this analogy to describe thinking in the cinema as a vector-like process linking images in space and time, teasing out their differences. There is a sense, however, in which Cubitt wants to make clear that the concepts produced as the outcome of the vector are not rightfully predetermined. In this respect, he cites Klee’s understanding of the line in order to clarify his own concept of the vector: “[T]he principle and active line develops freely. It goes out for a walk, so to speak, aimlessly for the sake of the walk” (9). For Cubitt the line, like the thought process linking images, does not have an aim or destiny, but develops freely. In other texts, Massumi describes this same concept of thinking as a “self-referential” map-making process (10). A strength of Cubitt’s discussion in “Graphical Film: The Vector” is the clarity of his analysis of Émile Cohl’s animated film Fantasmagorie (1908). He uses this film to illustrate his understanding of the vector as a self-referencing line linking images – in other words, his understanding of thought as a process that is without transcendent determination. “Fantasmagorie,” Cubitt writes, “is a brief line animation in which a mischievous puppet, Pierrot or fantoche, and his environment change seamlessly” (75–76). In many ways, Cubitt’s use of this example re-presents, rather literally, Massumi’s discussion in Parables for the Virtual: Movement, Affect, Sensation of the “topological transformation” of an object’s properties (11). Cubitt writes that Cohl’s line “draws and redraws itself”: flowers become bottles and cannons; elephants become houses; Pierrot becomes a bubble, a hat, a valise…. For Cubitt, the continual becoming of Cohl’s line is analogous to the linkage and re-linkage of images in the subject’s head, and the proliferating and multiple concepts produced. Cubitt makes clear a sense in which the activity of Cohl’s line and the activity of the subject’s vector of thought are not predetermined when he states that, “It is the activity of the line that counts, rather than the end points, which are in effect determined after the fact rather than before it, the result of drawing, not its givens” (76). Yet for Cubitt’s thesis on thinking to really work, he needs to be clearer about his understanding of the subject. For instance, Peirce’s philosophy of the sign also hinges on a concept of thinking that is not guided by transcendent determinants. The logic behind Peirce’s understanding of thought is based on the underlying principle of continuity in his phenomenology (12). As a concept, continuity suggests that the universe and the subject are part of the same continuous flow of matter. This implies that the sign and the subject are continuous. If the sign and the subject are continuous, then there is nothing transcendent to the sign and subject. This is important because it means that the subject’s interpretation of the sign is based entirely on the givens of the sign–subject relationship. At times Cubitt’s argument seems to suggest an idea of continuity underlying the image–subject relationship. For example, he describes a stage of the cinema in which “viewed” and “viewer” are indistinct (85), and his identification of the moment at which film becomes “other” presupposes an anterior moment in which image and subject are not other, but continuous (90). But when it comes to his discussion of the subject specifically, all of these ideas of continuity and immanence come a bit unstuck. Cubitt’s argument becomes somewhat ambiguous: at times his description of the subject reads like a description of a transcendent subject (a subject with a pre-determined sense of self, a subject that thinks according to pre-determined psychological ideas); and often, his discussion wavers between an idea of consciousness as an “external factor” (83), and an idea of interpretation as something that is “not governed by gestalts that order and predestine our negotiations with the text” (90, my emphasis). At one point, Cubitt momentarily dispels the idea of transcendent subjectivity, writing that “the subject never originates signification” (93), only to later suggest the opposite: that the image is an object subordinated to the subject’s “identity”, that the image is “there where I am not” (13). Cubitt’s discussion of subjectivity is thought-provoking and draws on many fascinating theories, but his own thesis on subjectivity (in relation to ideas of transcendence) is simply not transparent enough. As a result, Cubitt’s discussion of the third final principle of the image (vector) leaves the reader a bit confused. Immediately after explicating his three principles of the image, Cubitt states that the remaining two thirds of The Cinema Effect are concerned with an analysis of the manifestations of these principles in cinema’s various historical epochs. Cubitt looks in detail at a range of diverse films, from Sergei Eisenstein’s Alexander Nevsky (1938), to Andy and Larry Wachowski’s The Matrix (1999) and Ang Lee’s Crouching Tiger, Hidden Dragon (2000). He provides some fascinating insights into these films, and at times his analysis is extraordinarily intricate. 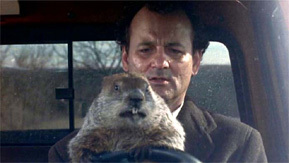 While he re-treads some familiar territory from Deleuze’s cinema books, such as the latter’s analysis of “modern” or fractured narrative structure, it is refreshing that Cubitt explains these concepts with some contemporary films (for example: Harold Ramis’ Groundhog Day  ), rather than harking back to tired old examples from Cinema 2, such as Alain Resnais’ Last Year at Marienbad (1961). At times Cubitt returns to some concepts from his material theory, at one point almost engaging in a fascinating discussion that posits the special-effects film (“technological film”) specifically as cinema of Firstness (see, for example, his analysis of James Cameron’s The Abyss  [253–257]), yet he doesn’t really use these films as promised: to recapitulate his discussion of the three principles of the image. Cubitt’s analysis uses Peirce’s categories of Being as the basis for his understanding of the image. Such an approach is important for thinking about the implications of the image beyond its simple photographic representation of the actual world. And more generally, Cubitt’s book is important because it is testimony to the importance of using film as a philosophical tool, sustaining the importance of cinema as an academic discipline. At times, however, Cubitt could have pushed his concepts further. In particular is the sense that Peirce’s phenomenology can perhaps offer something more to film theory other than a way of thinking about the nature of the image – other than what is presented in The Cinema Effect. Let me be clearer. The foundation of Peirce’s phenomenology is his argument that the universe is comprised of three categories of Being: Firstness, Secondness, and Thirdness. These three categories are also the foundation of Peirce’s semiotic thesis and his associated discipline of semeiotics. Regarding Peirce’s categories and the study of the sign, semeiotics states that there are three fundamental kinds of sign in the universe: signs of Firstness, Secondness and Thirdness. This implies that Thirdness and the logical relations of Being (the category of sign-formation) are concerned with signs that emit or express Firstness, Secondness or Thirdness – that is, signs of sensation, brute relation and logic. This understanding of Peirce’s phenomenology/semeiotics is brimming with potential for an analysis of the cinematic image. It raises questions such as: how do cinematic images combine as signs of Firstness, Secondness and Thirdness? And, what is the relation between these different kinds of signs and thinking? Deleuze’s two volume study of the cinema makes inroads into applying Peirce in this way, but The Cinema Effect chooses a different path. The potential is there for Cubitt to push his application of Peirce further by considering the cut in relation to a range of different outcomes – in other words, by considering cuts that express Firstness, Secondness and Thirdness in the cinema. Cubitt claims the nature of the image according to Peirce’s three categories of Being, yet leaves an analysis of the sustained prevalence of these categories in cinema as a whole for another project. Cubitt’s terminology is testimony to the untapped potential of his study. He uses the terms pixel, cut and vector for Firstness, Secondness and Thirdness, and states two reasons for this terminological shift: to “anchor the discussion in the material of film”; and, since he is writing “from the standpoint of the digital era”, for a “digital audience”, to use digital terminology (3). Cubitt signposts the (digital) context within which The Cinema Effect was conceived, yet aside from this, his terminology and discussion doesn’t really engage in that much detail with Peirce’s concepts, nor attempt to extend them. In short, Cubitt most significantly uses pixel, cut and vector to identify the nature of the image as Firstness, Secondness and Thirdness without actually having to write “Firstness,” “Secondness” and “Thirdness”. 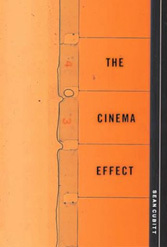 The Cinema Effect, by Sean Cubitt, The MIT Press, Cambridge, Massachusetts, 2004. Gerard Deledalle, Charles Peirce’s Philosophy of Signs: Essays in Comparative Semiotics, Indiana University Press, Bloomington, 2000. Gilles Deleuze, Cinema 1: The Movement-Image , trans. Hugh Tomlinson and Barbara Habberjam, University of Minnesota Press, Minneapolis, 1986. Gilles Deleuze, Cinema 2: The Time-Image , trans. Hugh Tomlinson and Robert Galeta, University of Minnesota Press, Minneapolis, 1989. Gilles Deleuze, “How Do We Recognise Structuralism?” , trans. Melissa McMahon and Charles J. Stivale, Charles J. Stivale (ed.) The Two-Fold Thought of Deleuze and Guattari, Guilford, London, 1998, pp. 258–282. Gilles Deleuze, Pure Immanence: Essays on a Life, trans. Anne Boyman, Urzone, New York, 2001. Gilles Deleuze and Felix Guattari, A Thousand Plateaus: Capitalism and Schizophrenia, trans. Brian Massumi, University of Minnesota Press, Minneapolis, 1987. Umberto Eco, Kant and the Platypus: Essays on Language and Cognition, trans. Alistair McEwen, Secker and Warburg, London, 1999. Paul Klee, Notebooks, Volume 1: The Thinking Eye, ed. Jûrg Spiller, trans. Ralph Mannheim, Lund Humphries, London, 1961. Brian Massumi, “The Parable of the Cave (Blind Version)”, UCLA Lecture, UCLA, 17 April 2000, accessed July 2002. Brian Massumi, Parables for the Virtual: Movement, Affect, Sensation, Duke University Press, London, 2002. Charles S. Peirce, Collected Papers, eds Charles Hartshorne and Paul Weiss, vols 1–6, Harvard University Press, Cambridge, 1932. Charles S. Peirce, Collected Papers, ed. Arthur Burks, vols 7–8, Harvard University Press, Cambridge, 1958. Charles S. Peirce, Peirce on Signs: Writings on Semiotics by Charles Sanders Peirce, ed. James Hooper, University of North Carolina Press, Chapel Hill, 1991. D.N. Rodowick, Gilles Deleuze’s Time Machine, Duke University Press, London, 1997. Steven Shaviro, The Cinematic Body, University of Minnesota Press, Minneapolis, 1993. Vivian Sobchack, The Address of the Eye: A Phenomenology of Film Experience, Princeton University Press, Princeton, 1992. Eco, Kant and the Platypus, quoted in Cubitt (48–49). Deleuze explains this notion of origin with his concept of the “empty square” in “How Do You Recognize Structuralism?”. Cubitt begins his study with a quote from Metz, and mentions in his Introduction that a key aim is to “supplant the metaphors of film as a language pursued by Metz” (7). Yet he never actually explains Metz’s argument that cinema is a language, not a language system. I have borrowed this phrase in immanence from Deleuze (Pure Immanence). Peirce doesn’t actually use the term Zeroness, but describes this primordial dimension of the universe as a zero state (Collected Papers 6.214–6.217). For an explication of Deleuze’s concept of matter and his critique of structuralism (especially Metz’s concept of cinema language) see Roger Dawkins, “The Problem of a Material Element in the Sign: Deleuze, Metz, Peirce”, Angelaki: Journal of the Theoretical Humanities, vol. 8, no. 3, 2003. Peirce, Peirce on Signs, p. 185 quoted in Cubitt (49). Klee, Notebooks, Volume 1, p. 105 quoted in Cubitt (70, 76). See Massumi’s discussion in his lecture “The Parable of the Cave (Blind Version).” The same concept of the self-referential map also appears throughout Parables for the Virtual: Movement, Affect, Sensation. I am referring here to the discussion of continuity in Peirce’s semeiotics in Gerard Deledalle’s Charles Peirce’s Philosophy of Signs. Sobchack, The Address of the Eye, pp.9–10 quoted in Cubitt (95–96).